Businesses involved in Security Services in Massachusetts have huge responsibilities. Knowing that you have the right insurance program to stand behind you is critical. That's why we have partnered with an insurance company that has been involved with insuring highly specialized businesses like yours for a long time. 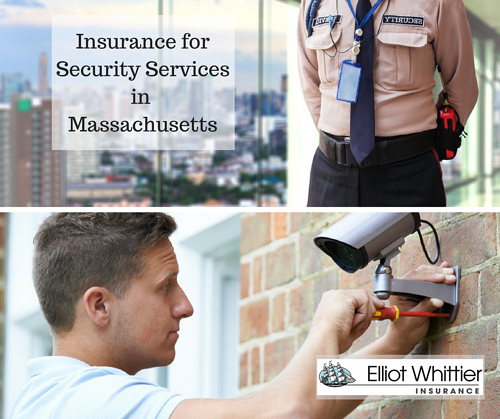 Why Elliot Whittier Insurance for Security Services in Massachusetts? Let us protect your business while you protect your client. We are proud to be able to offer a Security Services Insurance Program made just for your business. Not every insurance agent out there is able to help with this. Find out more about how the right insurance program will keep your operation in good running shape. Call today at 617-846-5000 or fill out this form below 24/7/365 and we will get right back to you! All insurance coverage is subject to underwriting review. Policies may differ and coverage is subject to limitations, exclusions and endorsements to the policy. You must discuss any concerns with your insurance agent.